My love for miniatures, animals and dolls has always been very strong. Drawing, sculpting and animation are also part of my passions. 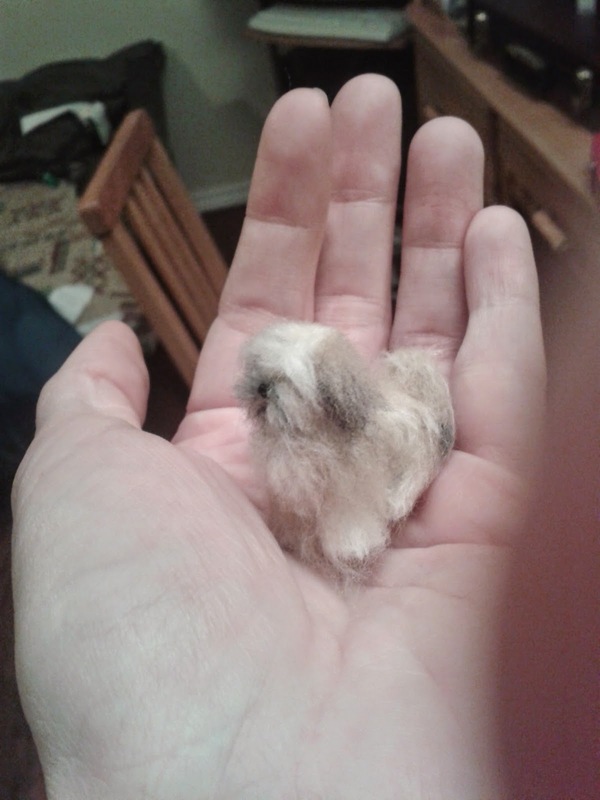 Since I am an eternal kid inside, I like to move and play with my miniatures which lead me to learn needle felting so that I can make movable scupltures on a metal armature. My sculptures can take many positions and are made from a mix of wool and silk. They are 1/12 scale and are made to fit in any dollhouse scene. I simply love to do custom sculptures of people's pets and am always looking forward to a new challenge. I also started to make ball jointed dolls which has been a passion of mine since I can remember. I am open for commissions, please contact me should you have any questions or comments. This commision was fo a Shih-tzu and Yorkshire Terrier mix. This was a very challenging one. Mollie looked 100% Shih-tzu from certain angles and when she turns around, she becomes the spitting image of a Yorkshire. Here she is! And here is the real Mollie. New clothes made by Lise Ashby! 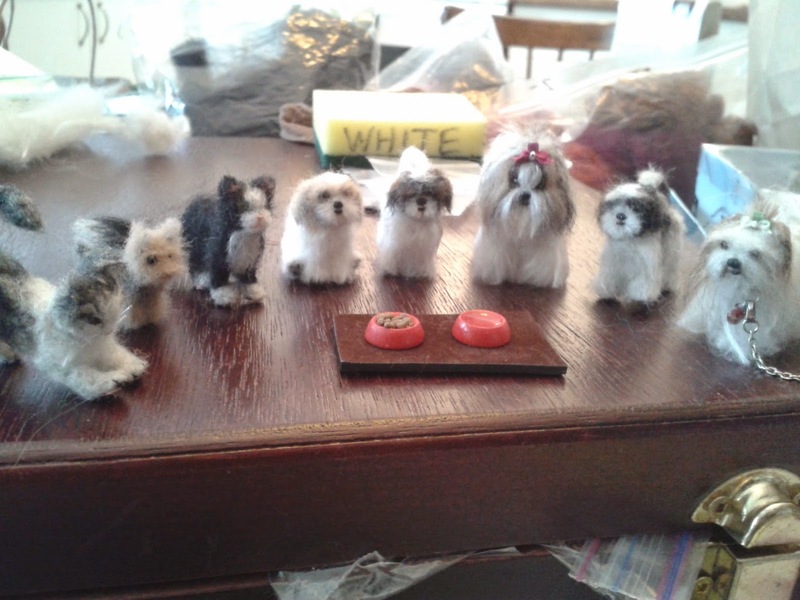 A 1/12 scale felted dog shorkie cutie.